This is the only HP novel where, for me, once was almost enough. I've read it the least times of the other ones. I found it depressing. Hi Stephen- The abuse that Harry takes from all sides can be a downer. On the other hand I appreciate the increased complexity. Thanks Muddpuddle - I an actuallly Reading the last book now. I am finding that it has been worth it. I read this one on the first day it appeared in the shops. My review copy hadn’t arrived yet and I wasn’t going to wait. I had plenty of people to discuss it with - in fact, I was at a science fiction convention that weekend, doing a Harry Potter panel on Sunday morning(it was out on Saturday). It was 9.00 am, when fans are normally sleeping late after a night of partying, but the hall was full. Everyone wanted to discuss it. Harry yelled so much in this one, I rather think if it had been typed on a typewriter the author would have had a keyboard jammed on CAPS LOCK. And stuck on exclamation marks!!! Which of the five you've read so far was your favorite? I hate to mention that I've never read Harry Potter, but it's only because I have had a tendency to shy away from novels of fantasy. I know HP is so much more than just fantasy. But sometimes I think I'll try, at least the first one. Hi Sue - These books created, and continue to create such a sensation. I understood why Harry yelled so much in this book. He really took so much flack from so many sides. Many teenagers would have reacted with a lot more anger and even aggression then Harry did. I agree that there are proper out there who are like Dolores Umbridge. The combination of seemingly oversewed manors and mannerisms and the need to be controlling is a real personality combination. My favorite was the first book. I usually rate the first book in most series as my favorite. I tend to value originality a lot. Interesting review, Brian. I wonder if Rowling was attempting to create her own mythic world as Tolkien was? Hi Sharon- Without a doubt, Rowling was trying to create a mythic world like Tolkien by this point. She included all sorts of references to past events, characters, etc. She also did a lot of interconnecting of these things. Though I do not think her world is quite as rich as Tolkien’s, it is imaginative and impressive. Hi Brian, Usually with young adult/children's novels either grown ups like the books or teenagers do and so it speaks to how well J K Rowling wrote this series that millions of children and adults are fans around the world. Hi Kathy - I am closing in on the ending at this point. It is safe to say that I think the entire series is worthy of adult reading. I admire your persistence in pursuit of completion of this series and your excellent commentaries. I'm not sure I will return to it any time soon. I've read a Rowling mystery and I agree she tends to write long when shorter would suffice much better. She meanders when her tighter scenes are stronger. Still I'm glad the end of this book finished strong for you. There is a lot of bullying going on ... and good vs. evil right? What I remember about this one is that Harry is in a bad mood through most of the story. And this is where I stopped. But knowing your review of The Half-Blood Prince will be coming soon, I pulled it from my shelves and put it on my coming soon pile. I am kind of excited to get on with the series and take it to the end. Thanks James - I am enjoying them so I am sticking with the series. Hi Susan - The basis for the entire series id good versus evil. I found the bullying to actually be frustrating. This book should could have used more editing. Hi Judy _ I empathized with Harry's frustration here. I would not have behaved as well he he did here. It would be cool if you finished the last two books now. Hi Brian, so true, what you say here. I've known several people who have objected to Harry's angsty moodiness in this book, but considering all that was happening, who can blame him? The PTSD and grief moments towards the end are very poignant, as is the revelation about bullying in the previous generation. It's a very memorable installment, also because it includes my least favourite DADA teacher, Professor Umbridge. Hi Paula - Indeed , if I were Harry I would have actually carried things a lot further. This is true of both my 15 year old self and my older self. Umbridge is indeed ghastly and is part of the abuse a bullying problem. Okay … big question here … why should I as a septuagenarian reads books written for children? I'm ready to read something different but need some good reasons. Well? Hi RT. Good to see you back. I am 52. I am enjoying the books but...I think thaf one needs to like fantasy, along the lines of Lord of the Rings going in. I also say that there is some depth to these books, but the depth is in limited. Thus I think that you should only read them knowing these things going in. Excellent commentary! Thanks for sharing your honest thoughts. 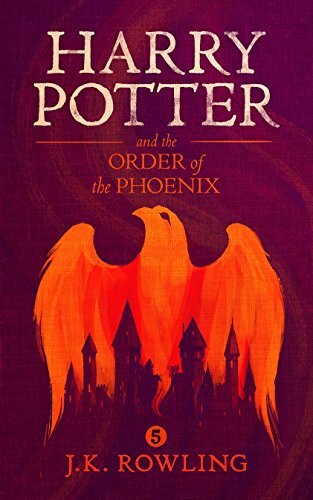 I haven't read this HP book, but I enjoyed reading your review. Your commentary about bullies and bullying int he book is especially fascinating. Thanks Suko. Bullying and resistance to bullying is a major theme of the entire series. 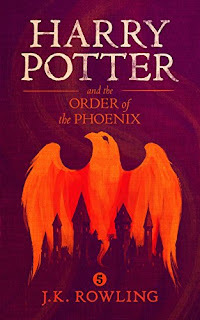 "Rowling displayed some of her best writing and characterization in the last part of the book." I put this one down about halfway through and never finished the series, so now I see I was missing out. I do remember that Umbridge made for a very effective villain, with her superficial niceness and insistence on law and order masking cruelty and a hunger for power. Recently, when I started watching Star Trek DS9, Kai Winn brought Umbridge to mind; though they aren't quite the same, there's that ruthless authoritarian quality masked by "doing good" in each of them. Hi Hila - I thought thaf it did get better. I think the point about Kai Winn is s great one. I am s big DS 9 fan and as I think about it I think that there are a lot of similarities between the characters. Louise Fletcher did a great job in thaf role. i am amazed with your deep interest in fantasy read dear Brain! you have covered all the area of topic brilliantly . this is nice that after dull start ,novel gets on track . thank you for great blog and insightful reviews always my friend! Thanks Baili. I have always enjoyed fantasy. I hand stuck to the classic and popular books in this genre. Harry’s dealing witch bullying and abuse has been a key component of this series and a major developer of his personality. Great discussion as always Brian. And yes, I remember the bullying being a large part here and it was almost hard to believe that Harry's dad and Sirius were bullying Snape like that. But like you mention, it's a great lesson inserted by Rowling about how people grow up and change and that no one is perfect. I found that Snape really bullies Harry so much, it is verbally abusive. Interesting take on on-human creatures and the human wizards in comparison to real life. Thanks for a great post as usual! Enjoy your week. Hi Naida - Bullying is very key to these stories. There are also a lot of parallels and the real world.